I went the safe way, cleared two slots yesterday (before the patch went live). 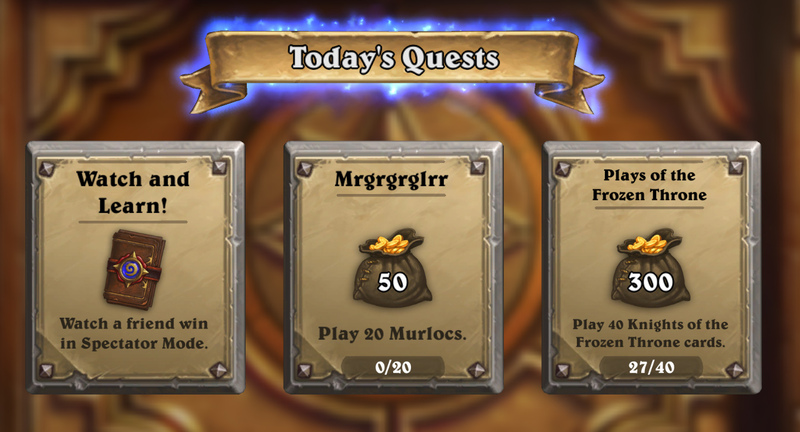 This morning, i received two new quests. Re-rolled one old quest, received new quest instead. Not sure what would happen if i would clear all three? Why? I left one quest and got two new event quest. How many quests I would got if I cleared all quest? What? It was great advice, I was going to leave only 1 free slot but thanks to this article I left two and the both got filled with new quests, then I could just re-roll my remaining quest. What did they say that was inaccurate? Got two new quests with dust. Thx for the news. Btw can you inform us as well about how the new quests are gonna work so that we know how many slots to leave free? The new quests will become available as your slots open up. So, after the patch, if you have all 3 of your quest logs full, you will need to complete or clear quests for the new ones to come in. Patch now live and can confirm this. Had 2 slots filled with standard quests, and got an event quest. Rerolled standard quest and got an event quest. "We’ve discovered an issue with today’s scheduled update, but we’re hard at work to resolve it. We’ll stay in touch with more information as it becomes available, and share an ETA as soon as possible." Well, we don't know when the event starts and what to do with our dailies, but at least we have now seen unused graphics for cards that never happened, so I feel well informed. Thank you Bli$$. Come join us at the inn for some special celebrations for the Lunar New Year, Hearthstone celebrations. Ongoing until February 13th, 7pm CET! Plus, enjoy the fireworks as just by coming back we’re handing out a FREE golden fireworks Tech card to give your deck and the new year celebrations a bigger bang! Complete special quests during the event that may reward Arcane Dust in addition to Gold, then get crafting! did u get any new quest etc guys? Nothing for me... Thought it was supposed to be live an hour ago? is there any yakudza brothers here who can share info about new dailies?